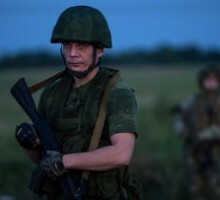 Two Ukrainian army servicemen have fled to Donetsk People’s Republic, according to DPR Deputy Defense Minister Eduard Basurin. 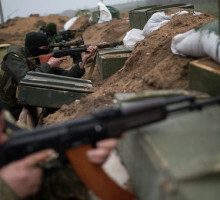 “Two soldiers of the Ukrainian army have fled to DPR in Gorlovka area today,” – he said. 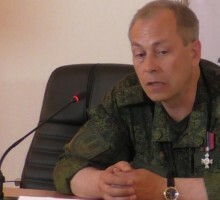 Donetks People’s Republic Deputy Defense Minister Eduard Basurin informs that the situation in Donbass has sharply deteriorated. 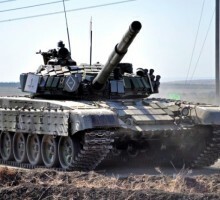 Kiev junta’s militants have violated the ceasefire 19 times in the past 24 hours, including by Minsk Agreements banned types of weapons. 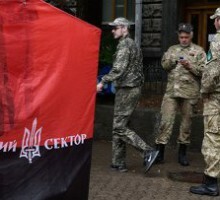 Neo-Nazi “Right Sector” organization militants detained a group of Greek citizens, including a former Greek Deputy Defense Minister Kostas Isikhos, former Deputy Minister of Economy Nadia Valavani, former Foreign and Military Committee Chair Vasilis Khadzilambru and journalist Aris Khadzistefanu, in one of Odessa’s hotels, according to the Greek newspaper “Spark”. 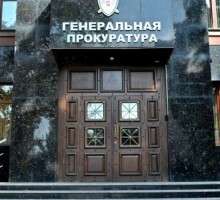 Donetsk People’s Republic’s Prosecutor General’s Office plans to complete the process of handing the wreckage of Malaysian “Boeing” to Dutch criminologists until the end of the day, according to the head of Prosecutor General’s Office Bureau of Criminal Investigations Roman Belous. That includes 560 fragments of the plane. 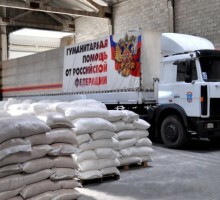 40th Russian humanitarian convoy has delivered over 670 tons of food products and medical supplies to Donetsk People’s Republic, according to DPR Reconstruction Management Center (RMC) public affairs office, Donetsk News Agency reports. 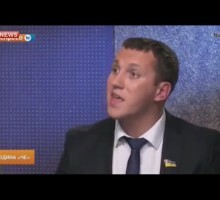 Ukrainian “Radical Party” MP Dmitry Linko has introduced a bill to the Verkhovnaya Rada (Ukrainian Parliament – ed.) 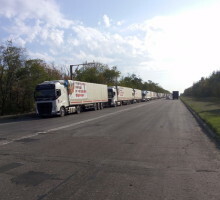 which proposes to launch a full official blockade of Crimea. 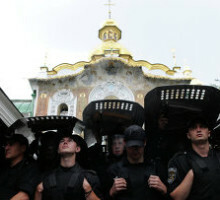 On Monday, September 28, “Right Sector” militants, together with “Kiev Patriarchate” schismatics, have attempted to take over a local temple in Kolosovo village, Ternopol region of Ukraine, according to the Ukrainian Orthodox Church (Moscow Patriarchate) (UOC MP) public affairs office.